Acrylic Block Filler is a premium plus 100% acrylic heavy-duty interior/exterior block filler designed to fill pores & small voids in CMU (concrete masonry units) without shrinking or cracking. Provides excellent filling, holdout & foundation for a wide variety of conventional topcoats including epoxy coatings. The products 100% acrylic composition will provide better efflorescense & alkilinity properties. 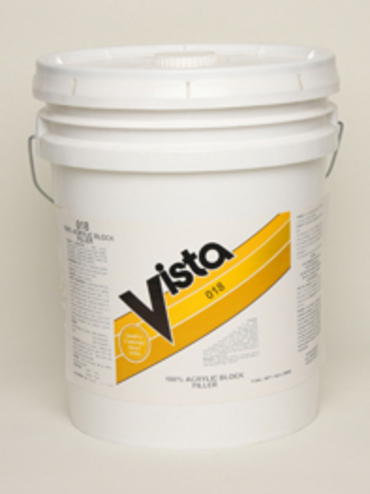 Recommended Uses: A heavy-duty block filler for concrete block masonry surfaces to receive a paint or coatings finish.